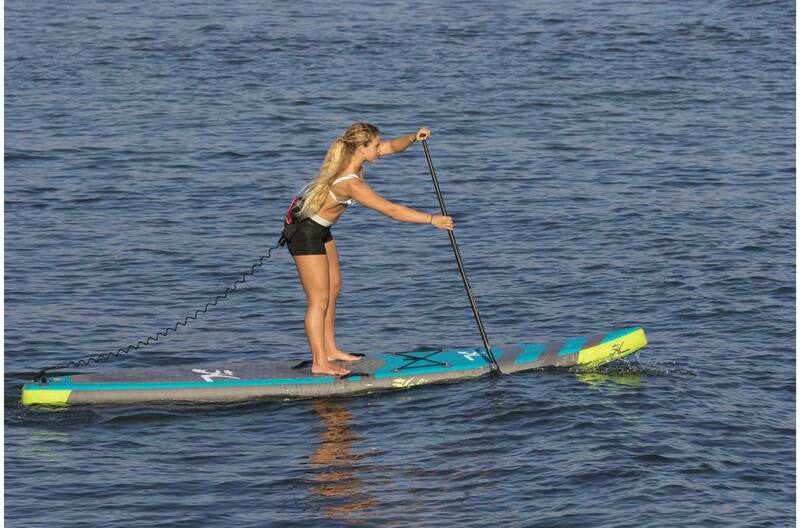 Blow up and go fast, Ascend Race boards boasts a high-performance race inspired design coupled with a diagonal drop stitch construction and Hobie's S3 stability system. The result are boards that are incredibly rigid, stable, fast, and best of all portable. 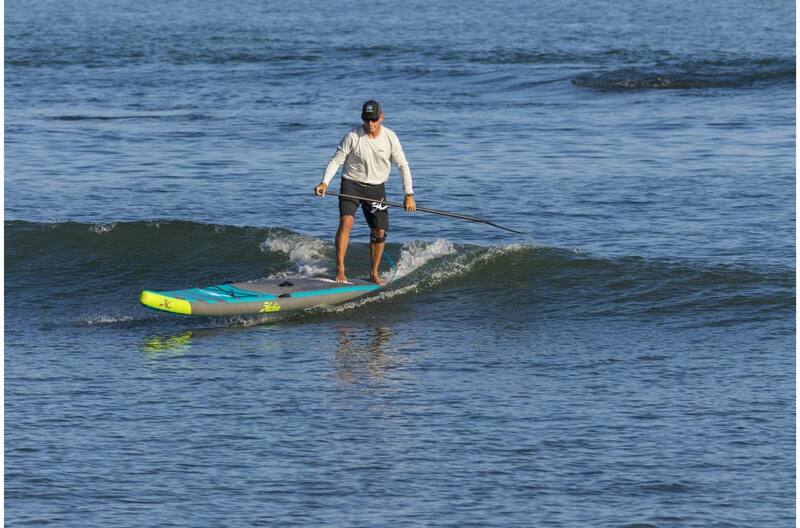 Aerolam technology is our premium inflatable SUP construction. 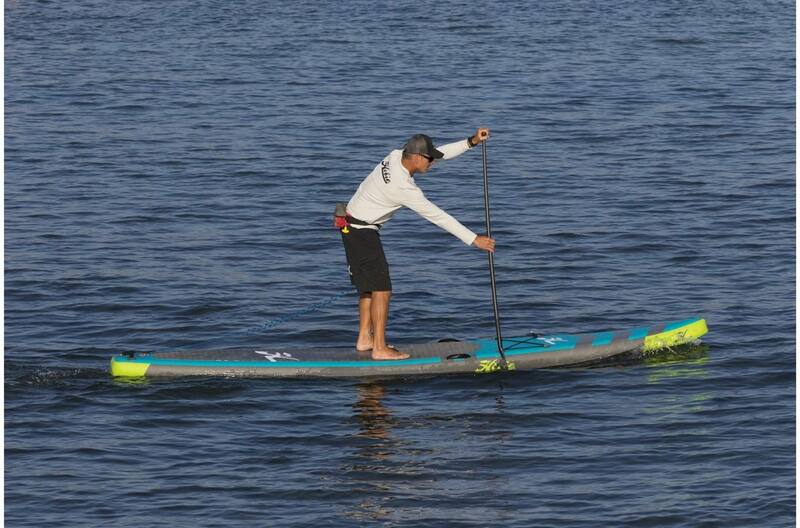 At the heart of all Hobie inflatable SUPs is a diagonal drop stitch core. The diagonal drop stitch provides for a much higher density thread distribution vs a standard linear drop stitch which ultimately provides for a much superior core structure that holds a better shape, prevents twisting, and allows for higher inflation pressures. In addition to the core, Aerolam features a second and stronger reinforced PVC layer, which is hand glued directly to the core layer. 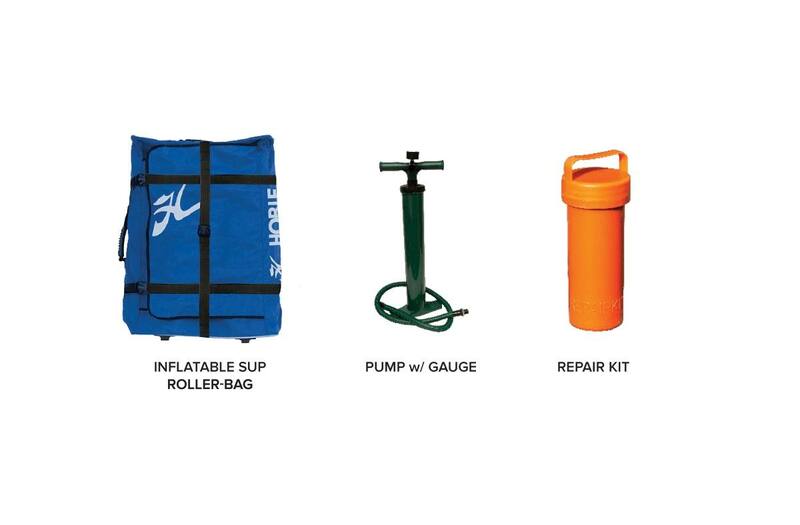 The benefits of this construction are a high performing inflatable SUP that is more durable, can hold additional air pressure (18 psi+), and most importantly maintains its shape. 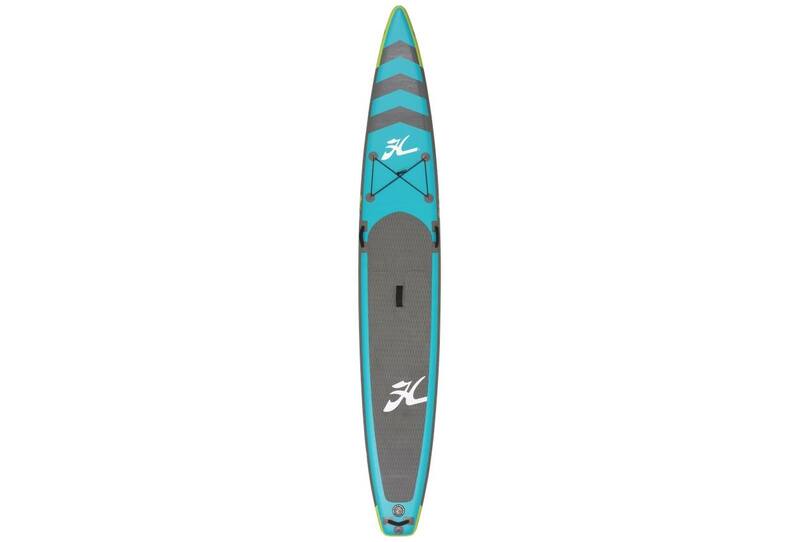 S3 Stand Up Paddle Stability System: An innovative system developed by Hobie, the S3 control plates provide additional stability and rigidity in key areas of the board, providing a superior paddling experience yet maintaining optimal portability.